Time to Celebrate The Dirty Scurry Adventure Run! We are proud to say that over the last 5 years of the Dirty Scurry, we have donated over $85,000 to Cook Children’s and gotten more than 7,000 kids moving in the Fort Worth area! Our hope is that we have exposed kids, parents and families to different ways to be active while also having fun! The Dirty Scurry Adventure Run has come to a conclusion and we will no longer have a race. 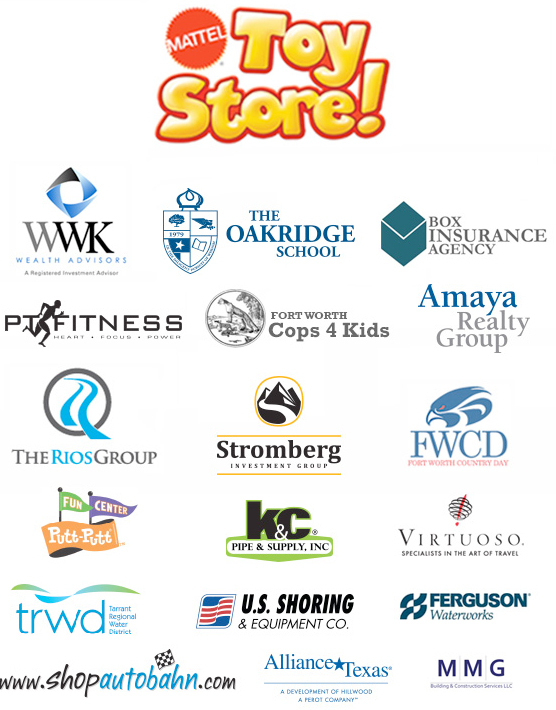 However we are continuing our partnership with Cook Children's Medical Center and PT Fitness! We will continue to execute our goal of getting families and kids moving in creative fun ways through our social media platforms. Stay tuned to all of the Dirty Scurry outlets and PT Fitness as we will pass on fun things to do within our community. On April 25, 2015PT Fitness was honored to host its 5th and final Annual Dirty Scurry Adventure Run at LaGrave Field. 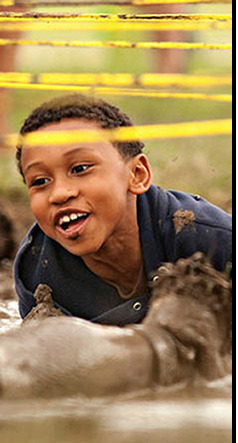 Our 1.2 mile obstacle mud run was great for kids (ages 5-14) looking for a fun way to stay active with the added benefit of supporting Cook Children's Sports Rehab, Childhood Obesity and Child Life Programs. The 1.2 mile mud run began at 9:00 AM and took the kids through twelve exciting obstacles (chip timing was available for those with a more competitive spirit). This year's course included a Tire Walk, Maze Crawl, Dirt Mountain, and back by popular demand, moguls! View themap to see a description of each obstacle. LaGrave Field is located at 301 Northeast Street along the Trinity Trails of Fort Worth. The mission of the Dirty Scurry is to provide the opportunity for children to realize their physical potential through competition, challenges and fun. Follow us on Facebook and Instagram to get details regarding the other fun events! Copyright © 2013 QOV Global Wellness, Inc. All rights reserved.